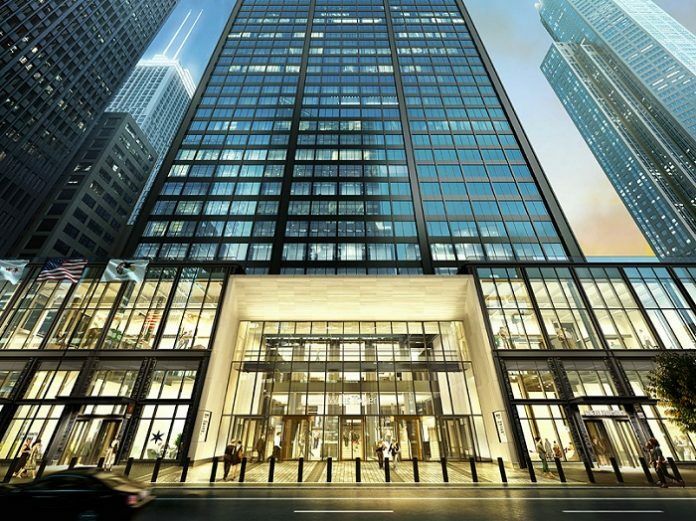 Willis Tower, owned and managed by EQ Office, the portfolio company wholly owned by Blackstone’s real estate funds, is proud to announce that it has earned the Leadership in Energy and Environmental Design (LEED) Gold from the US Green Building Council. Willis Tower achieved an initial LEED v2009 certification as well as the recertification tasks using the latest update to the rating system, LEED v4.1, which emphasizes performance and tracks progress through the Arc platform. Willis Tower is currently undergoing a more than half a billion-dollar renovation, the biggest restorative transformation in the building’s 43-year history, adding 300,000 square feet of new retail, dining and entertainment space, including Catalog, a five-story immersive neighborhood experience, as well as 125,000 square feet of tenant exclusive amenities and a 30,000 square-foot outdoor deck and garden to the building.